As a young child in Mexico is really common that teachers ask you to get different supplies from the stationery (papelería), like scissors, glue, monographs, different type of educative illustrations, pencils and all kind of products. A really common product found in these shops is the Mexico map, which is really useful in elementary school to start learning locations, cities, capitals, ecosystems, rivers, lakes, flora and fauna from our country. I visited a beautiful papelería in Colonia Roma, where the stationer showed me different kinds of maps. Some of them were new and some others were from so long ago that are handwritten copies, all of them with different designs. He also spoke about kids not needing this type of objects anymore, “They get everything from the Internet now!” he said. In addition of its beauty as an object this is the main reason why Diario decided to rethink this everyday Mexican object. The maps we can find in papelerías are typically used for drawing and coloring them according to the subject you are studying, like geography, weather, density of population, and more. Diario decided to invite Tania Zaldivar, a talented Mexican graphic designer, to rethink this object together. 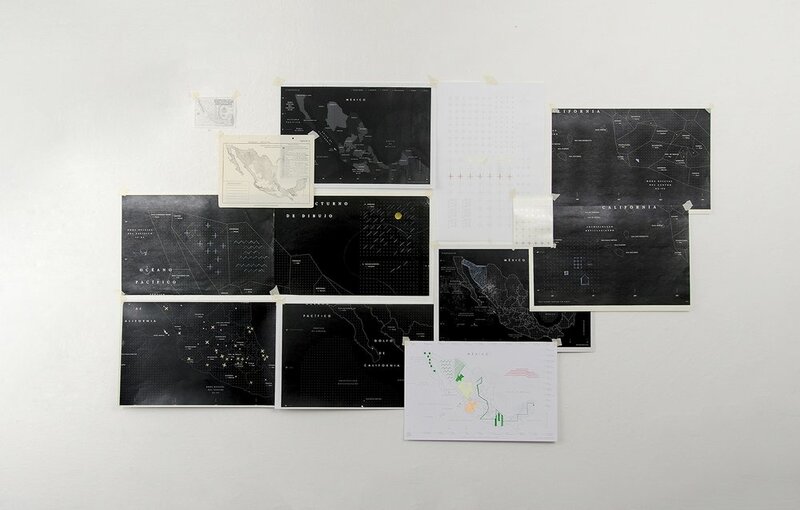 After observing and analyzing the maps from the papelería Tania played with the concept of a drawing dotted grid, inspired by the act of coloring the stationery shop map. She came up with this great idea for making a new and interactive Mexico map that inspires you to draw routes, color places you’ve visited, cross lines, fill the blanks, make drawings, color up the whole state or even put stickers to show your past or future trips of this beautiful country. We wanted to print this map in a really elegant and high quality way to pop out every little detail, so we met Arturo, a craftsman dedicated to the print industry with an amazing silk-screen workshop located in Mexico City’s downtown. Arturo and his team have a neat and structured way of working, everything has to be done fast and in the right time for the whole process to be successful and beautiful. Every map is handmade and checked one by one to make sure of its perfection. Diario’s new Mexico map comes in 2 sizes and 2 colors: light gray cotton map (101 cm x 66 cm and 43 cm x 28 cm) and an elegant dark cotton black (101 cm x 66 cm and 43 cm x 28 cm), each of them can perfectly fill a blank space at your home or it can be used just to have fun while drawing it.